Chalk Couture layering techniques are a great way to add dimension and interest to your Chalk Couture projects! 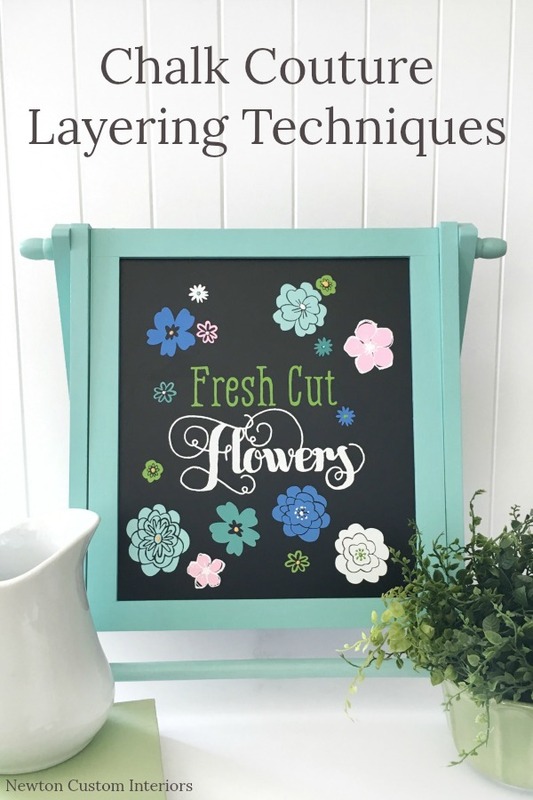 These layering techniques are quick and easy to do for any Chalk Couture Chalkology paste project! 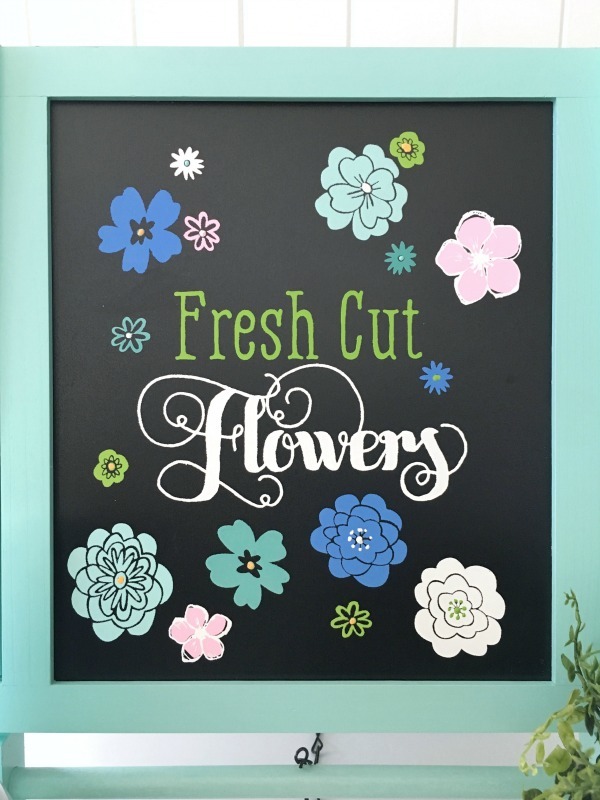 Recently I did a Chalk Couture project that featured a lot of flowers for my kitchen. After I got the flowers on the easel (which I bought at Hobby Lobby), I noticed that they looked a little flat and not as interesting as they could be. So, I decided to try a couple of layering techniques to the flowers to give them a little more personality! I’ve created a video to show how to do the two Chalk Couture layering techniques I used for this project. 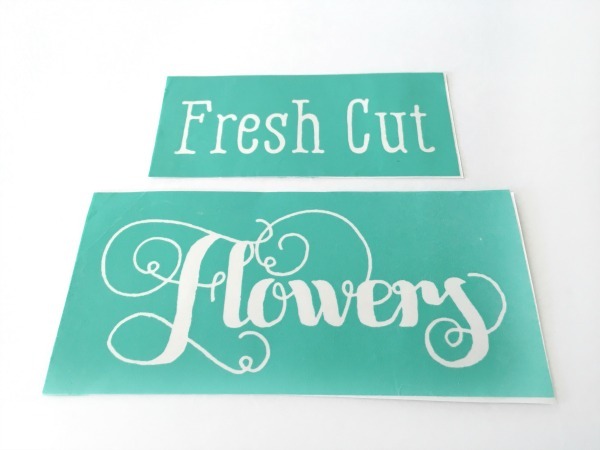 Chalk Couture Transfers – Here are the 3 different transfers that I used for this project. This is an example of mixing Chalk Couture transfers to make the project your own. 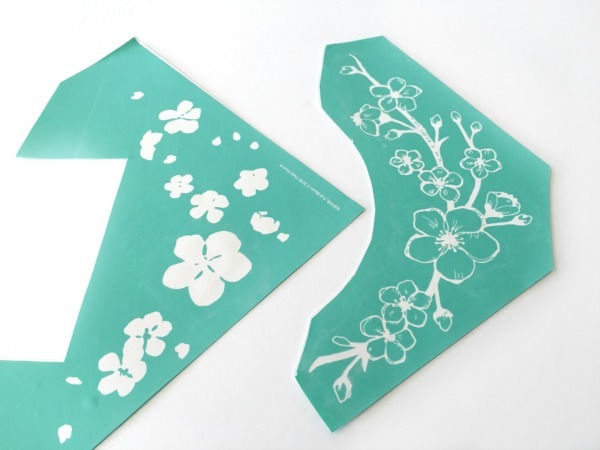 Bloom Transfer – This is a special two part layering transfer. 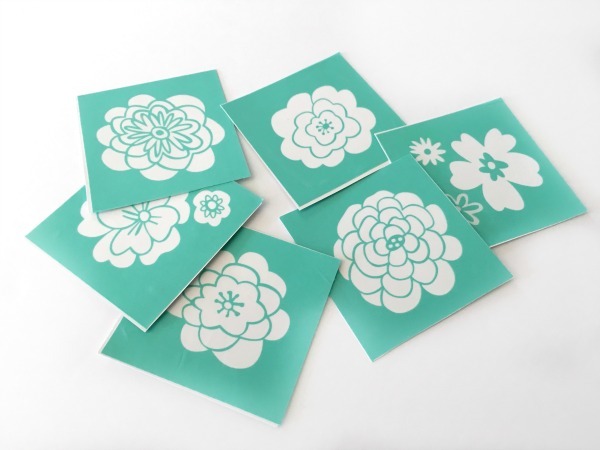 Mini Florals – This transfer has 12 different flower designs. I used these 6 flowers for my project. Vintage Truck Add-On – This is a large transfer that has several parts to it. 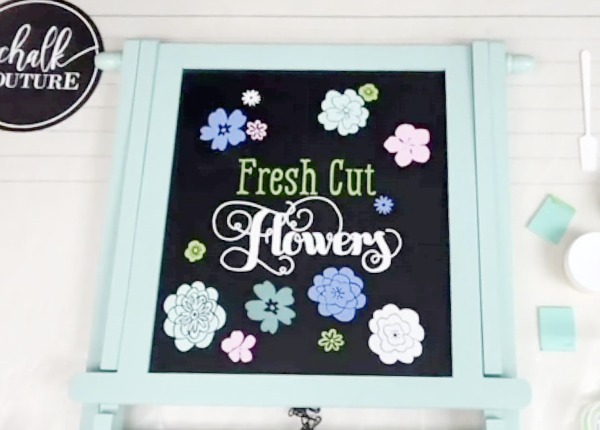 I used the Fresh Cut and Flowers transfers from this large transfer. Chalk Couture Chalkology Paste – These are the 7 Chalk Couture Chalkology pastes that I used for this project, but you can use whatever colors you like for your project. Small Squeegee – I used Chalk Couture’s small squeegees to spread on the chalkology paste. 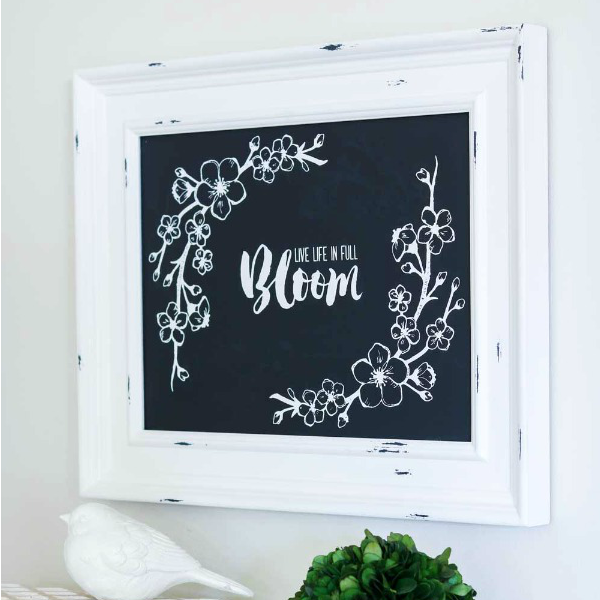 Surface – I used a chalkboard easel that I ordered from Hobby Lobby for my project. Here are some other surfaces you could use. I hope you’ve enjoyed this tutorial for Chalk Couture layering techniques! 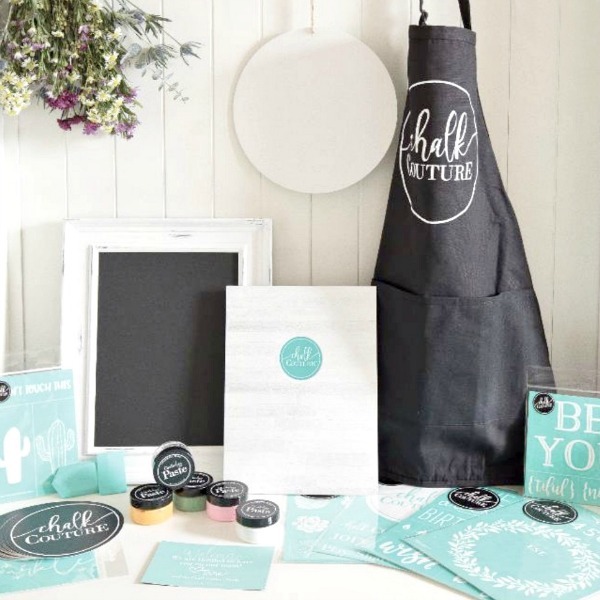 If you’re interested in purchasing Chalk Couture products, or becoming a Chalk Couture Designer, you can find more info HERE.